YaHoo! 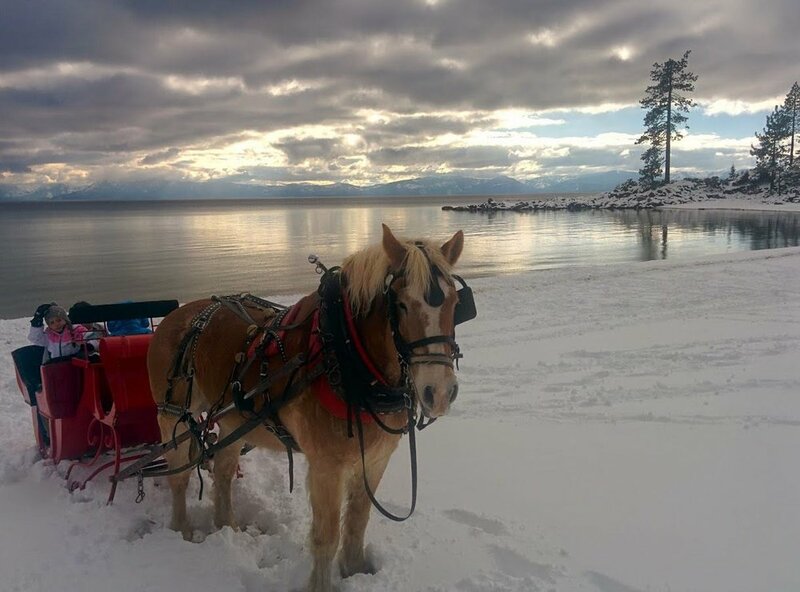 Sleigh Rides on snow Opened Thursday & Friday at Sand Harbor! So far, February has been a stormy month bringing Snow to the Tahoe Basin & the Sleigh Rides! We have been able to open the Sand Harbor State Park location at the Sand Harbor Visitor Center. Sand Harbor Visitor Center, Lake Tahoe, Nevada State Park is off hwy 28, 3 mile south of Incline Village. So through the Main Entrance to the visitor’s center. Parking fee of $10 require to enter park. 1 hour rides - $50 per person; $20 per child 2-10 yrs old. 30 min. ride $25 per person; $10 per child if available. Weather alert is posted for Friday, 2/8, with high winds, snow & poor road conditions. If this materializes we will close without notice. Please check this blog or call for updated information.